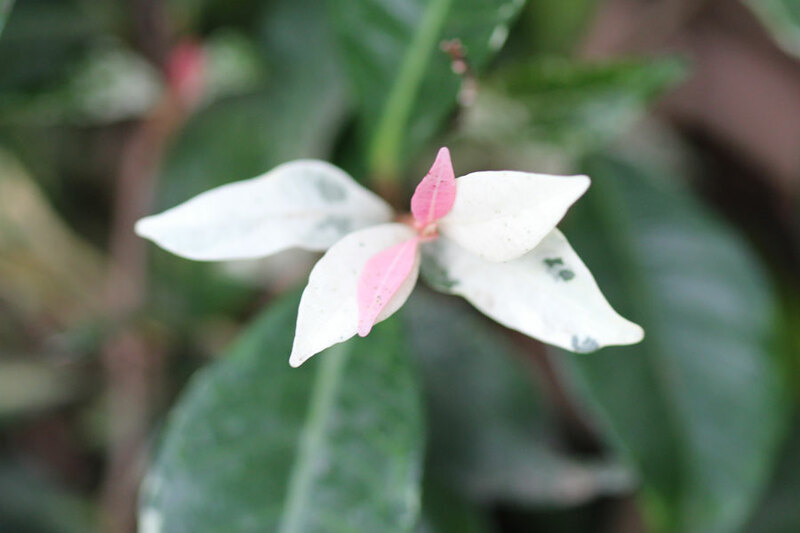 Note: A marvelous cultivar of Star Jasmine that features bright green, white and pink leaves. Fragrant, small white flowers cover this mounding compact plant in late spring to autumn. Ideal as a hardy ground cover for its year long interesting foliage. Evergreen and hardy, and loves to grow in light to deep shade. 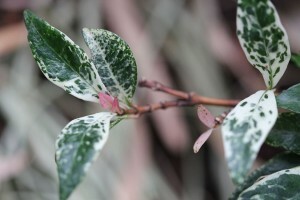 Foliage colour: bright green, white and pink leaves. Light preference: Full sun or semi shade. Watering: Water well during the growing season and less in winter. Soil requirements: Enjoys rich well composted fertile soil with good drainage. It prefers neutral to alkaline soil conditions, but will grow in slightly acid soils. Fertilisation: Fertilise with a general fertiliser in spring. Does extremely well with a compost top dressing. 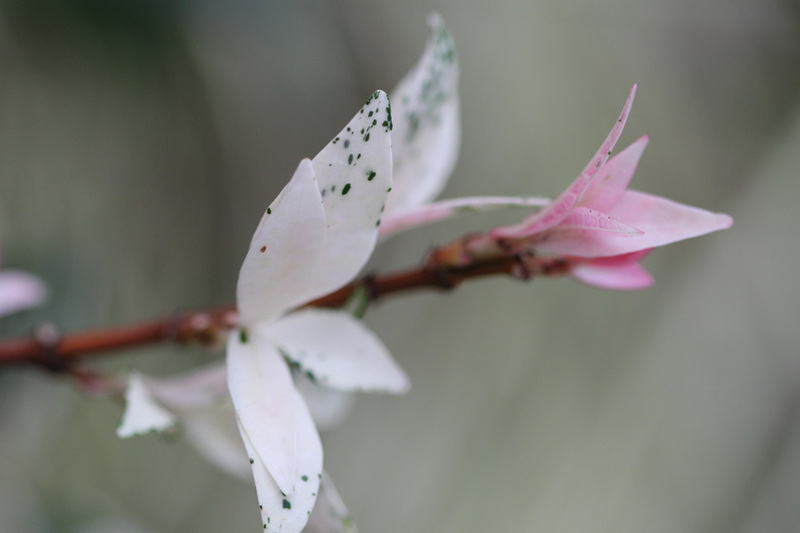 Pruning: As for Star Jasmine. Insects: Relatively easy. May be attacked by aphids. Diseases: Relatively disease free. 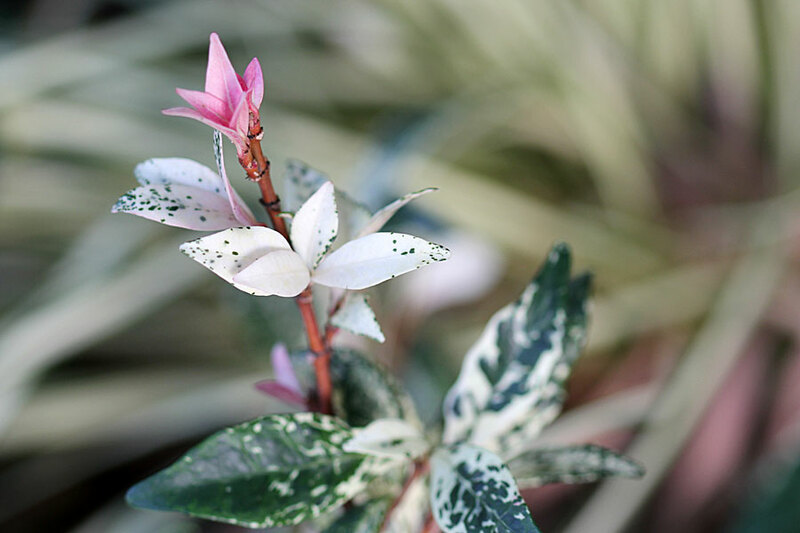 According to the RHS, in heavy, damp or clay soils, or in soils with a fluctuating water table, Trachelospermum may be susceptible to Phytophthora root rots. Propogation: As for Star Jasmine, ‘Chameleon’ can be propagated by layering in spring, and also from semi-ripe cuttings in summer and autumn. Other notes: This is a gorgeous, easy plant to have in thew garden especially in shaded areas where colour is lacking. Easy, evergreen, a pleasure to have in my garden!